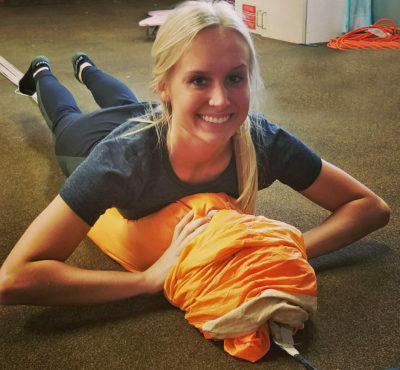 If you’re a current skydiving student or you’re looking to start learning to skydive this summer, this parachute packing class is for you! On Saturday, May 18th from 11AM-2PM WNYSkydiving is holding a FREE parachute packing course. This will be the only free course of the season. Already know how to pack, but looking for some extra practice before the season gets started? Come on out and play! This parachute packing course will be a three-hour event. Experienced skydivers, senior parachute riggers, and skydiving coaches and instructors from WNYSkydiving will introduce participants to the different types of parachute systems used by licensed skydivers, student skydivers, and tandem skydiving students. Participants will see packing demonstrations and have the opportunity to start learning to pack on their own. Saturday, May 18th at 11:00am until 2:00pm. Out of respect for all participants and to ensure an on-time start, all participants are asked to arrive no later than 10:45am. Individuals who have a desire to learn more about skydiving or become a licensed skydiver should take advantage of this class. A large portion of learning to skydive is familiarization with skydiving equipment. There is no better way to become familiar with your gear than by hands-on packing! All participants must be at least 18 years of age and be in reasonably good athletic condition. You DO NOT need any prior skydiving experience in order to participate in this course. In order to better prepare for this course, WNY Skydiving will be providing some video and other resources for participants to familiarize themselves with prior to arrival at the course. Materials will be sent to all participants within 48 hours of registration. Registration will open Friday April 5, 2019 at 9AM and close Friday May 3, 2019 at 9PM. « FREE First Jump Course!